Twenty years ago, the world of watchmaking witnessed the genesis of Grand Seiko, a luxury-driven branch of Japanese timekeeper, Seiko. Their goal was clear, strive for precision, reliability, and practicality as they introduced a hybrid movement. A masterful fusion of the beauty and perpetuity of an automatic calibre, and the precision of a quartz regulator. Introduced first at Baselworld 1999, after two years of development, this movement come to be recognized as one of the most important developments in the recent history of luxury watchmaking. 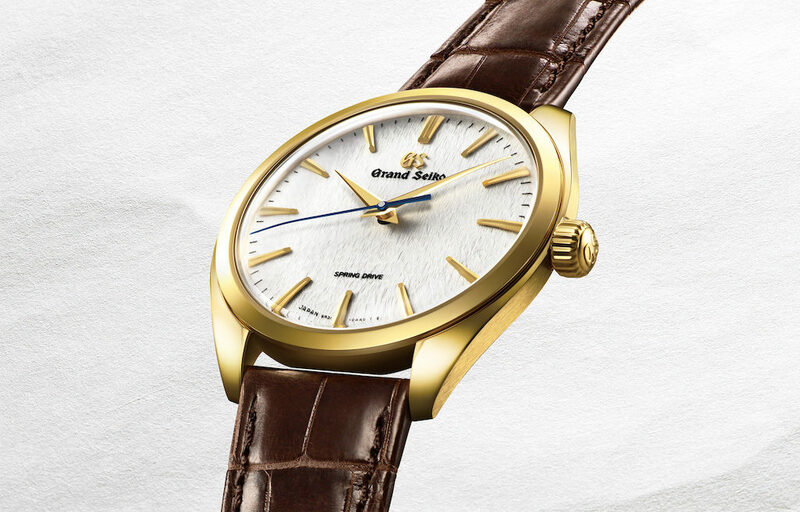 Dubbed as the Grand Seiko Spring Drive series, the Japanese celebrated its 20th anniversary at Baselworld 2019 with a refreshed Spring Drive and Sport capsule, alongside two newly launched exquisite women’s watches. The Spring Drive thin dress four-piece capsule is a penchant for simple elegance. The Japanese take pride in its new Caliber 9R02 and Caliber 9R31, that offer an 84-hour and 72-hour power reserve respectively, as contributed by the Micro Artist Studio. The Spring Drive thin dress series sports a Zaratsu polished Platinum 950 case and dial, inspired by the beauty of the natural landscape of Japan. 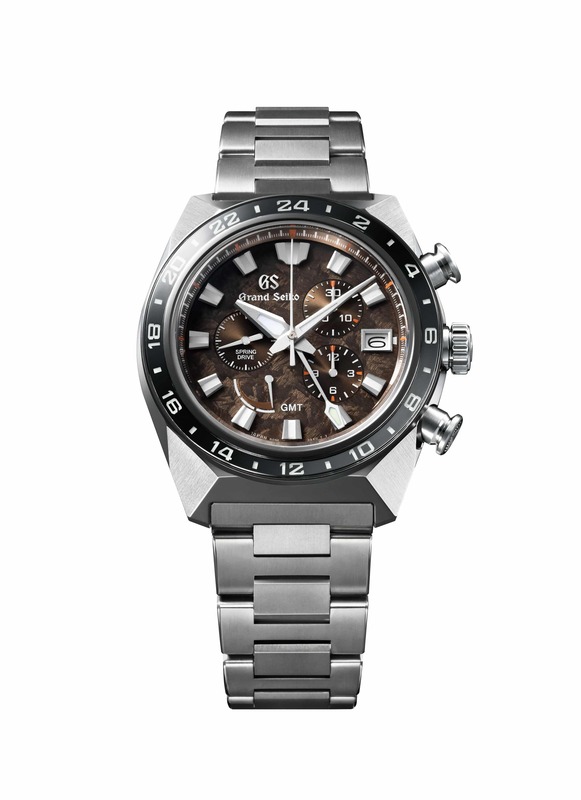 While all timepieces feature this treatment on their dial, only the SBGZ001 contains the same on its case too. The SBGY002 variant on the other hand, sports an 18k yellow gold case and clasp while being strapped on by crocodile leather. 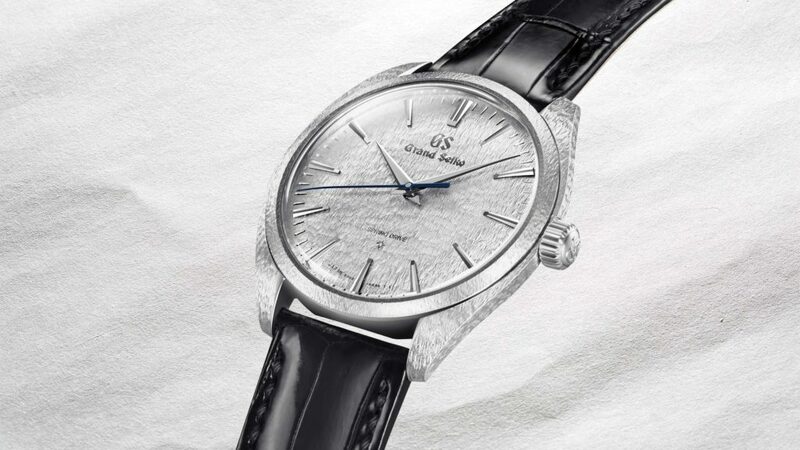 The Spring Drive thin dress series is a part of a much larger ‘Grand Seiko Elegance Collection‘. The Zaratsu polish treatment seems to be Seiko’s signature detail for this capsule, as it features in the Spring Drive Sport Collection too. 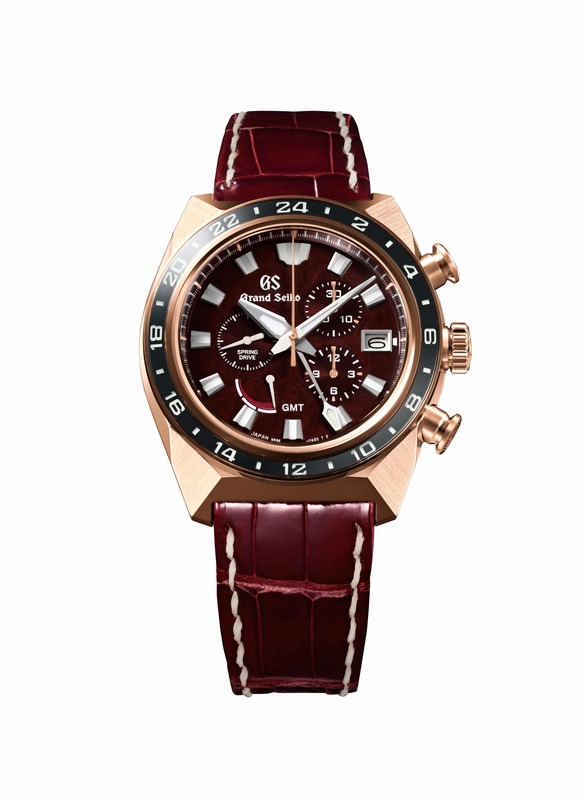 The Spring Collection embraces classic Seiko design silhouettes yet appears to be more robust, aggressive and technical. The surfaces of the hands and hour markers have diamond-cut edges, again reminiscent of the brand’s production. Being slightly oversized at 44.5 mm, the crown and chronograph buttons seem larger too. Although, it makes perfect sense since its built for action. 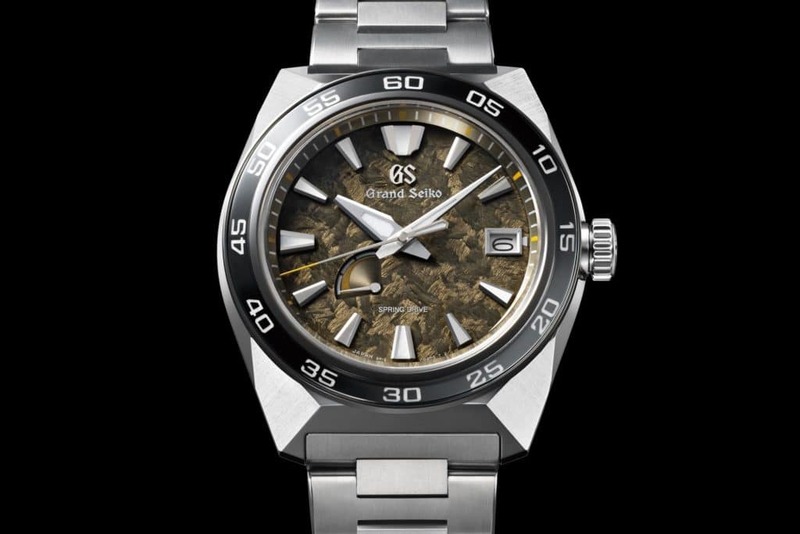 The Grand Seiko Spring Drive Sport Collection comprises 3 models: a time-and-date watch (SBGA403), and two GMT Chronographs (SBGC230, SBGC231). Inside its case is the calibre 9R15 on the time-and-date variant and a Caliber 9R96 on the GMT variants, with a 72h power reserve, and is strapped on with titanium. The dials come in Forest Green, Brown and Burgundian variants. As they did at Baselworld 2018, Seiko have developed an exclusive calibre for the Spring Drive’s women’s watches. All five women’s watches flex a calibre 9S27, an update from last year’s 9S25 and offeres 50 hours of power reservation. The first two models have been crafted from stainless steel and while features a guilloche dial, the other features 11 diamonds that replace its numerical indicators. The rest have been delicately enriched with 55 diamonds on their bezels while being cased in 18 ct white gold, yellow gold and rose gold, each. 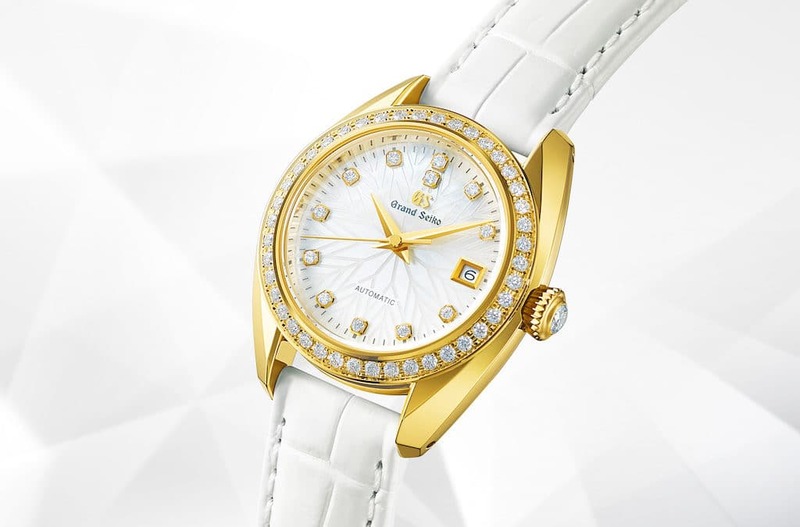 A flower-styled guilloche is seen on every gold cased timepiece. The Sport Collection’s €44,800 Burgundy variant is limited edition to just 100 whereas the Brown and Forest Green will have 500 crafts and will be priced at €13,700 and €11,200, respectively. 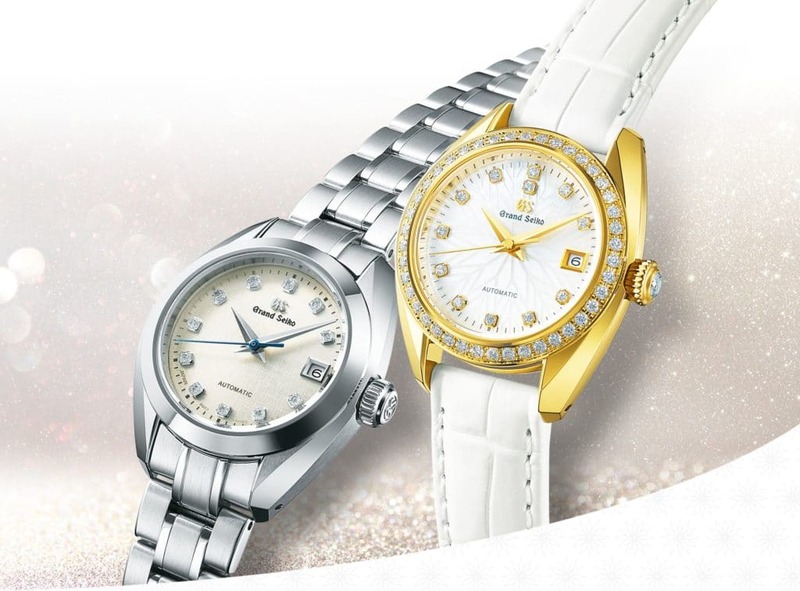 The women’s watches begin at ‎€5,800 and exceeds up to ‎€29,000. And finally, Spring Drive capsule begins at €8,200 exceeds up to €27,000 with is limited to just 700. 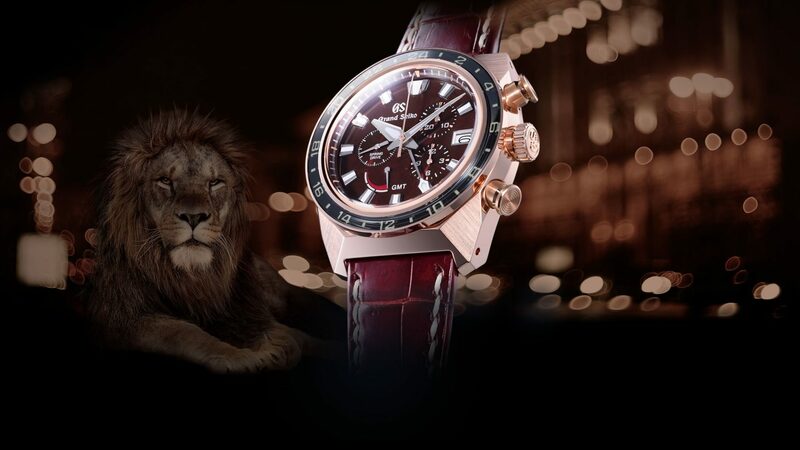 Seiko officially announced that the timepieces will be exclusively retailed at Seiko boutiques and will be launched in July 2019.